Allianz Risk Transfer — which has a presence in Bermuda — is the lead insurer covering the Malaysia Airlines jet that disappeared over the Pacific Ocean this weekend. A spokesperson for Allianz said: “Allianz Global Corporate & Specialty can confirm that it is the lead insurer for Malaysia Airlines [for aviation hull and liability coverage]. The airplane — carrying 239 people — disappeared while traveling from Malaysia to China, with air traffic controllers losing contact with the plane this weekend. 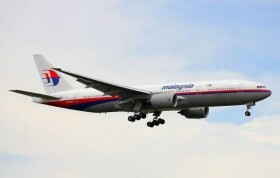 The Boeing 777-200 departed Kuala Lumpur International Airport and was expected to land in Beijing, a 2,300-mile [3,700 kilometer] trip, and has not been seen since. An update from the airline today said, “As we enter into Day 4, the aircraft is yet to be found. The search and rescue teams [SAR] have expanded the scope beyond the flight path to the West Peninsular of Malaysia at the Straits of Malacca. “The authorities are looking at a possibility of an attempt made by MH370 to turn back to Subang. All angles are being looked at. We are not ruling out any possibilities. “The mission is aided by various countries namely Australia, China, Thailand, Indonesia, Singapore, Vietnam, Philippines and the United States of America. In total there are nine aircraft and 24 vessels deployed on this mission.